This wheel features the Primo Freemix hub built into the Primo VS rim using Primo forged spokes. The Freemix hub uses high quality KHE internals, allowing the clutch to be adjusted internally should you like to fine tune the performance. Combined with the Primo VS rim, this build creates a sturdy and reliable wheel that performs to the highest level. 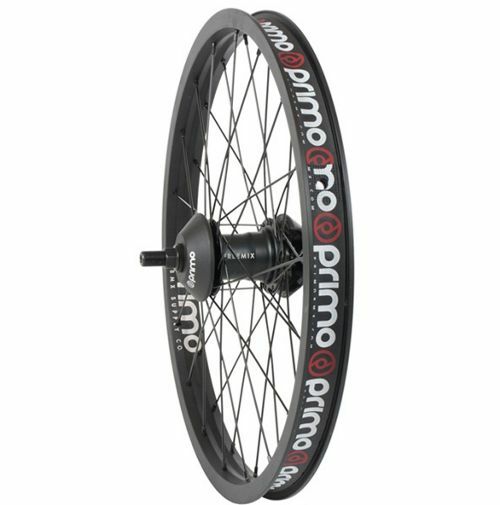 Click the button below to add the Primo VS Freemix Freecoaster Rear BMX Wheel to your wish list.